They saw Amazon entering into the one cloud-computing market where it had no game: "Hybrid" computing, the segment of the cloud where Microsoft dominates. But a new report by UBS analyst John Roy points out that the true disruption of Outposts is this: Amazon will be putting its own home-grown data-center hardware — originally designed for its own use — into customers' private data centers. 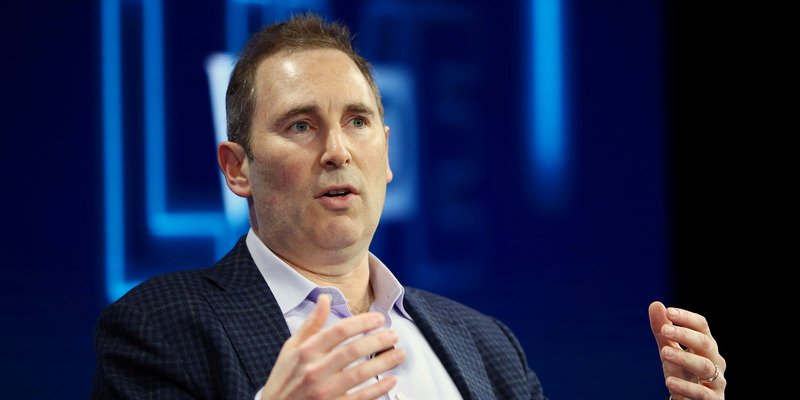 Cisco, Dell, and especially Hewlett Packard Enterprise are facing yet another big threat from cloud-computing giant Amazon Web Services, according to . Outposts was among the scores of new products and services Amazon announced at its giant customer conference in November. Outposts is a service in which Amazon puts parts of its own cloud into a company's own private data center. It's slated to be available in the second half of 2019. An AWS Outpost is a hardware appliance that combines servers and storage and that Amazon will plunk into customers' private data centers. The customer only rents an Outpost; Amazon manages it remotely. For information-technology teams, it means that they can manage their own computing infrastructure and their Amazon cloud infrastructure from the same interface, while still keeping some applications and data sequestered in their own servers. The idea isn't unique — far from it. What Outposts does is called hybrid computing, and it is exactly what all of AWS's top competitors do, particularly Microsoft Azure. Hybrid computing means using the cloud for some stuff and your own servers for other stuff. The likes of Microsoft and IBM have invested heavily in hybrid computing as a way for their customers to bridge their existing investments in the data center with the cloud. For Amazon, however, they didn't have such concerns — AWS all but invented the modern notion of cloud computing and didn't have existing customers to support. As such, it spent a long time pooh-poohing the hybrid cloud, choosing instead to focus its energies on the public cloud. Outposts is one of the results of Amazon's two-year partnership with VMware, a competitor-turned-friend that has teamed up with AWS to appeal to big businesses. That's because Amazon has invested heavily in making its own servers, storage, and network hardware — innovations in which Outpost customers will be able to take part. The more those customers rely on Outposts, Roy wrote, the less they'd need from the usual suspects in server manufacturing. "With AWS Outpost it uses AWS hardware, which is custom designed and built by ODM [original design manufacturers, aka contract manufacturers] for AWS. For its own public cloud AWS uses its own: routers, CPU chips, storage servers, compute servers, and high-speed network. No hardware from brand name computer makers like Dell, HPE, IBM and Cisco," Roy wrote. Roy believes that, of those companies, HP Enterprise is the one that could be hurt most, and he attached a roughly "negative 86%" metric to HP Enterprise's exposure. His reasoning was that almost all of HP Enterprise's business comes from selling hardware to private data centers, and customers who turn to Outposts will have less reason to keep buying it. "The AWS Outpost effort will start putting AWS custom (non-branded) hardware on-premises, cutting even further into branded enterprise hardware sales," Roy said.